Day 1: We meet up at 15:00 at the yacht. All information about the tour program and boat will be given, you will have free time. 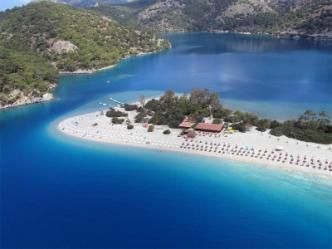 Dinner and overnight stay will be in Fethiye. 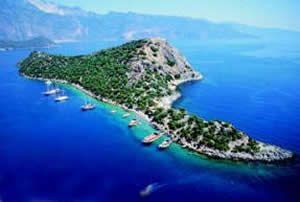 Day 2 : After breakfast will be anchoring at a bay near Ölüdeniz. Dinner and overnight stop at the island of Gemiler, there is also Byzantine ruins to take a look at, is you so wish. Day 3: : Before breakfast we will going to Tersane island. Breakfast on the way. After lunch and swimming break our route will be Kale Village. Here you can visit the historical monuments. Dinner and overnight stop will be around the Kale village. 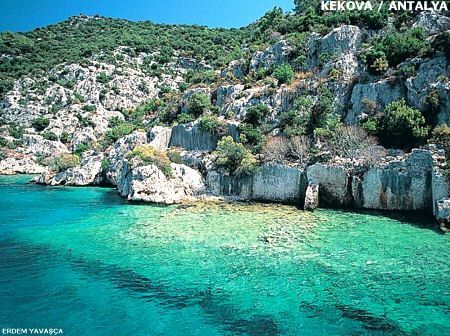 Day 4: After our breakfast the new route is of to the Lycian ruins located under the sea to Kekova. It is forbidden to anchor in the areas where the ruins are as because its passing between the ancient Simena Village so anchor next to the village. After lunch our guests can visit to the ancient ruins here. 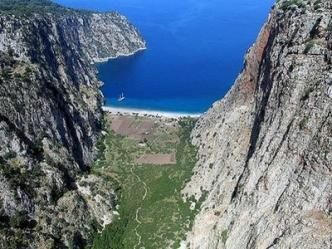 The next route is a beautiful bay to Gökkaya, by seeing on the road the Korsan ( Pirate) cave. 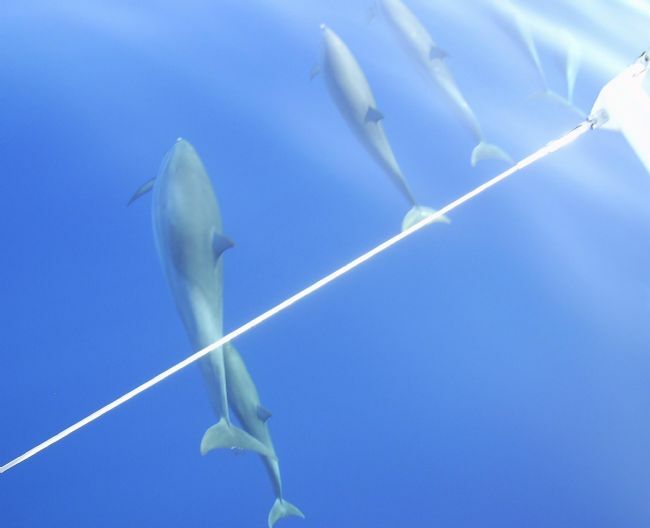 You have the motorized water sports opportunity here, you can enjoy the sea and sun as well. Dinner and overnight stay will be here Gökkaya Bay. Day 5: After breakfast, lunch and swimming break our new route is to Kaş. Our guest will have short-term stroll who wish to shop in Kaş harbour. 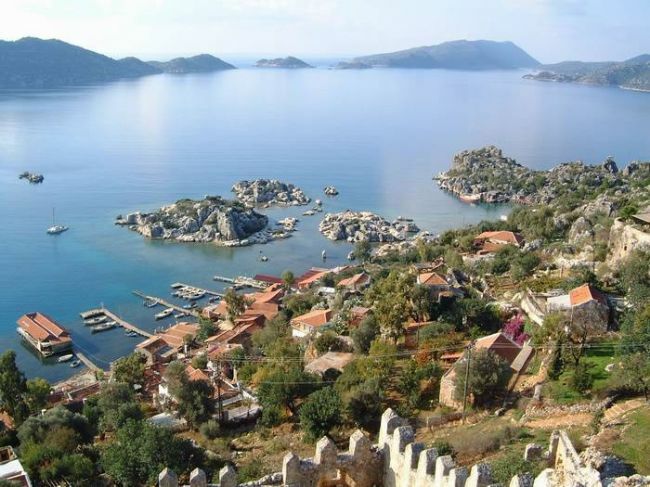 Dnner and overnight stay will be in a near bay around Kaş harbour. Day 6 : After breakfast we will cruise. 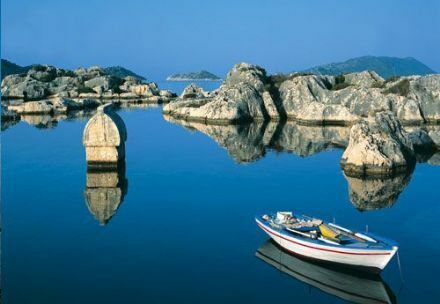 You can go an optional land tour today to the ancient city of Xanthos and Saklıkent valley. 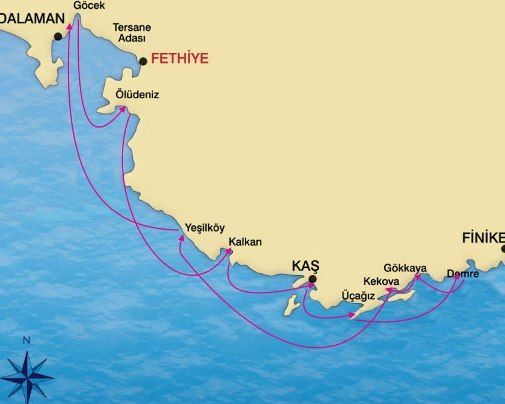 We will go to Yeşilköy bay with our guests, guests who wish to stay on board can do so. Dinner and overnight stop will be here. 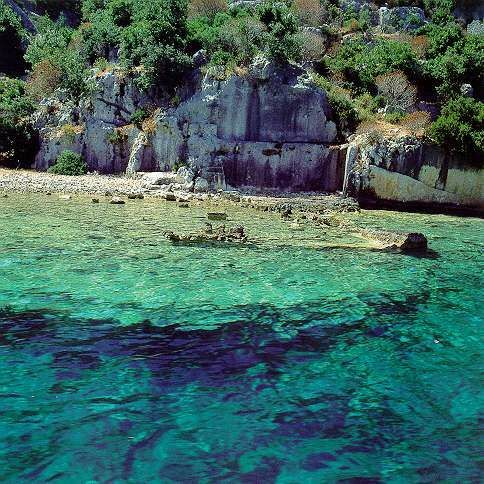 Day 7: Before breakfast we will go to the Gulf of Göcek, which is very famous with the spectacular bays. All day we will spend enjoyable time in the beautiful bays. Then we will go back to Fethiye Harbour for Dinner and overnight stay. •No child discount available in this itinerary. No children under the age of 12 are allowed. • Full Board accommodation: Breakfast, lunch, afternoon tea - coffee & biscuits, dinner. The Captain has the authority to change route plans, if due to change in the weather and sea conditions.